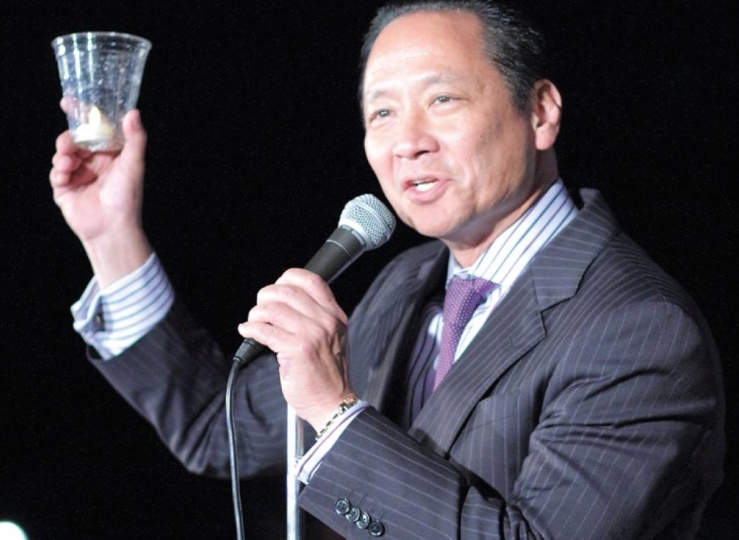 SAN FRANCISCO — A community event entitled “A J-Town Celebration for Jeff Adachi: A Gathering of Community and Friends” will be held Saturday, April 27, from 2 to 4 p.m. at the Japanese Cultural and Community Center of Northern California, 1840 Sutter St. in San Francisco’s Japantown. The event, to be emceed by former San Francisco Deputy Public Defender Daro Inouye, will feature performances, remembrances, and a short video in tribute to the late elected public defender, social justice advocate and filmmaker, who passed away suddenly on Feb. 22 at the age of 59. “This will not be a memorial service, but a gathering of friends and community,” said a statement from organizers, who also disclosed a Godzilla theme, as Adachi was a collector of memorabilia of the iconic Japanese monster. Adachi, who was born in Sacramento and was elected to be San Francisco’s public defender in 2002, was also a community activist, inspired by the first national pan-Asian movement to exonerate Korean immigrant Chol Soo Lee, who was wrongly accused of murder. In order to raise funds for the movement to free Lee, Adachi wrote a song titled “The Ballad of Chol Soo Lee.” Robert Kikuchi-Yngojo, who helped with the production of the song and sang lead vocals, will be on hand to perform it in tribute to Adachi. A graduate of UC Berkeley and the University of California Hastings College of the Law, Adachi established the Asian American Arts Foundation in the 1990s in order to recognize established Asian Americans in the arts while raising funds to support emerging artists. He served on the boards of other nonprofit organizations such as the Asian American Theater Company and the San Francisco chapter of the Japanese American Citizens League, as well as the Advisory Council of the Nichi Bei Foundation. He went on to become an accomplished filmmaker, creating documentaries such as “The Slanted Screen” (2006), “You Don’t Know Jack: The Jack Soo Story” (2009), “America Needs a Racial Facial” (2016) and “Defender” (2017). Presented by the Friends of Jeff Adachi. Sponsored by (partial list) JCCCNC, Japanese Community Youth Council, Nichi Bei Foundation, Nihonmachi Little Friends, API Legal Outreach.